Little Sahara contains 60,000 acres of giant free-moving sand dunes, juniper-covered hills, and sagebrush flats and comprises some of the most heavily used public land in the State of Utah. 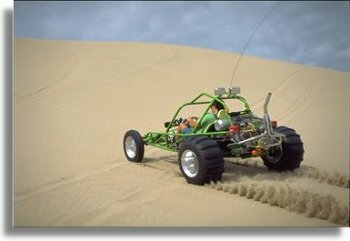 The terrain is ideally suited for ORV use, as well as for motorcycles, dune buggies, and all-terrain vehicles. 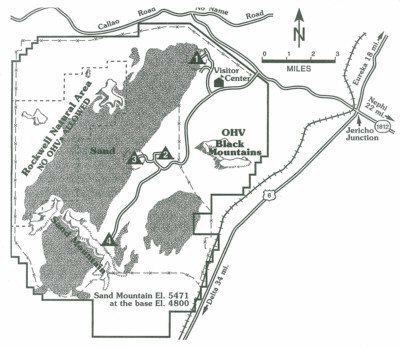 Part of the area is managed for ORVs, while the remaining land is preserved for nature study, picnicking, camping, and sand play. In addition to the visitor center near the entrance, Little Sahara contains four developed camping facilities. Location: Little Sahara is approximately 115 miles from Salt Lake City, Utah, via Nephi. The entrance road to Little Sahara is 4 miles west of Jericho Junction.